Google developed two very good email clients for the web, Android, and iOS, but you don’t have to choose between them. It’s possible to use the two apps together, taking advantage of the best features from both to power through your overflowing inbox. Here are some tips on how to do it without getting in a complete tangle. Gmail is Gmail, 11 years old and no doubt a product you’re pretty familiar with. It’s the full-fat Gmail experience, complete with advanced filters, advanced searches, labels and all the rest... it’s still the best place to turn if you want to take maximum control over the way your email works, though some auto-sorting features are available, too. Inbox by Gmail is Google’s idea of a next-generation email client. It tries to do as many tasks as it can automatically, filtering away messages, bundling packs of emails together, surfacing photos and documents it thinks are important so you can get to them easily. It doesn’t (yet) have the depth of full Gmail, but it’s better for quickly churning through the day’s incoming emails. With that in mind, it makes sense to use Gmail on the desktop when you’ve got more time to think and organize, and Inbox on mobile when you’re quickly sifting through messages and taking actions on them—though it’s completely up to you of course. Thankfully Google has made it easy to jump from one app to another without much hassle. The first task on mobile is controlling notifications, particularly if you have both the Gmail and Inbox apps installed. Head into the Settings screen on either app (on Android or iOS), and you can disable notifications for one while keeping them on in the other. Note that the Inbox by Gmail Settings screen lets you choose whether dismissed messages are deleted or just archived—getting this right is crucial in using Inbox in tandem with Google’s original email client. Which you go for is up to you, but make sure the option is correctly configured, otherwise you could find messages vanishing that you want to keep. As we’ve said, using Inbox on mobile makes a lot of sense. You can swipe left and right on messages to snooze them or mark them as done, and thanks to the automatic sorting that Inbox does, it means a less cluttered look on your smaller mobile screens. There’s no reason why you can’t use both on the same device, but you’re likely to spend most of your time in one or the other. Both apps will keep your messages in sync, even if the view you get of your emails is likely to be significantly different. 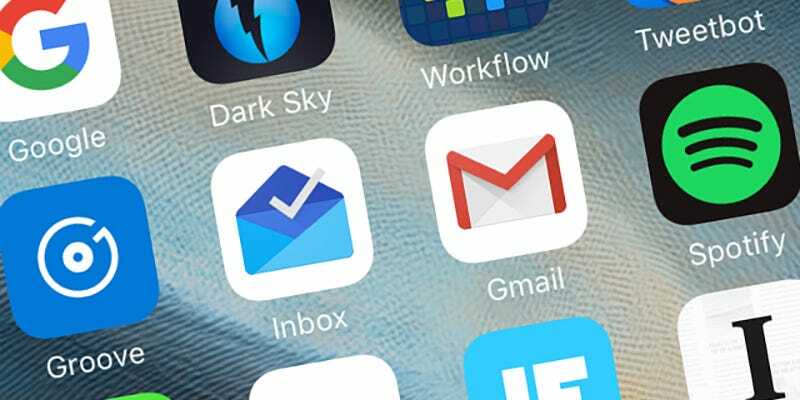 If you open up the left-hand menus in each app you’ll notice they’re largely similar, giving you access to all the labels you’ve configured in Gmail as well as the standard folders for sent emails, drafts, spam messages, and so on. Getting two tabs or two bookmarks pointing to Gmail and Inbox is straightforward enough, and you can jump from one to the other seamlessly on the web. Labels created in one app are instantly available in the other, though Inbox offers more in the way of automatic labeling, including a Low Priority filter for those less important messages. If you snooze an email in Inbox, it’s archived in Gmail; move it back to the inbox in the latter app and you break the snooze function. You can actually find snoozed emails in Gmail by typing “label:snoozed” into the search box, and the Inbox bundles (Finance, Purchases and so on) have similar hidden labels—as indeed do the tabs in the default Gmail interface. While starred emails (Gmail) and pinned emails (Inbox) work along similar lines, they’re not the same thing. Your starred emails don’t appear as pinned emails and vice versa (search for “label:pinned” in Gmail if you want to check). That gives you the freedom to use pins and stars for two different purposes, but they won’t cross over between apps. If you are using Gmail on the desktop and Inbox on mobile, then you can access Inbox’s features to some extent via the hidden labels we’ve mentioned. You can’t snooze messages from the Gmail interface, but they will reappear in the appropriate tab at the specified time—it’s not as obvious as the feature is in Inbox, but it is there. Google has done an impressive job of keeping these two apps working in harmony, and hopefully these tips help you jump between them without a hitch. If you are using both Gmail and Inbox alongside each other, let us know how you utilize the different features available in each in the comments.